In Another Opinion is a public affairs program addressing key issues that impact the communities of color in Rhode Island. Hosted by Peter Wells, publisher and editor of The Providence American, the show premieres on Sunday, January 29, and airs the last Sunday of each month at 10:30 a.m. 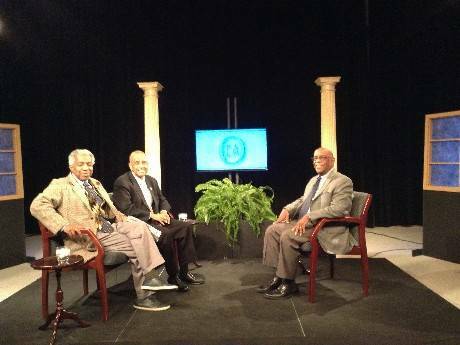 The first guests are Ray Rickman, former RI State Representative, former assistant RI Secretary of State, and founder of the Stages of Freedom, a non-profit organization providing programming and services to the black community; and James Vincent, president of the NAACP of Greater Providence, and host of the Jim Vincent Show on cable access. “Given the outcome of the very contentious 2016 Presidential election, the discussion focuses on the potential impact of a Trump administration on communities of color here in Rhode Island and around the country. Both of these guests bring a unique perspective to the show's subject,” said Wells. The discussion also centered around some of President Trump's nominees, the implications of his proposed policy of “Stop and Frisk,” and the rolling back of former President Obama’s Executive Orders.